Even as adults there&apos;s still reason to get excited about Christmas time, but there&apos;s nobody that it&apos;s more special for than children. The excitement of Christmas eve and the anticipation of Santa&apos;s arrival can be almost too much to bare and although the newborns you see below might not be old enough to fully appreciate the festive season yet they&apos;ve still got all of that magic to look forward to. They&apos;re also incredible lucky to be born near to Christmas, because that gives parents and photographers the chance to get creative with their photoshoots - just like the ones you see below. 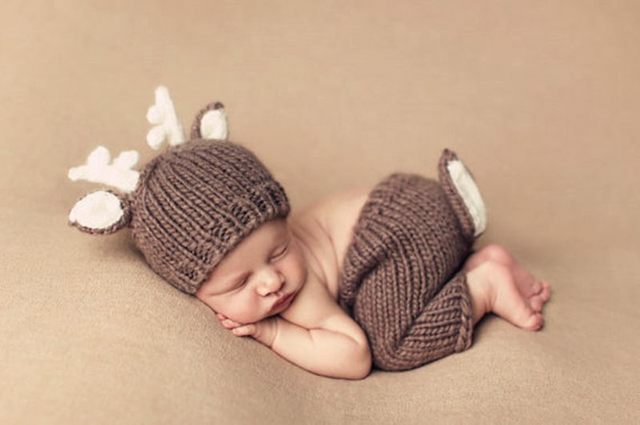 Here are 17 adorable newborns that are celebrating their first ever Christmas. Because belly rubs make the world a better place.